The new 2017 Harley-Davidson® Softail Slim® is a throwback to the early days of custom motorcycle style. Equipped with a thoroughly modern powertrain and enough high tech features to make your ride easier and safer, the Softail Slim® is a valuable member of the Harley-Davidson® Softail lineup. It sports a unique hidden rear suspension for that slammed rigid bike look. Learn more about the details that make the Softail Slim® special here at Avalanche Harley-Davidson®, located near Denver, CO. 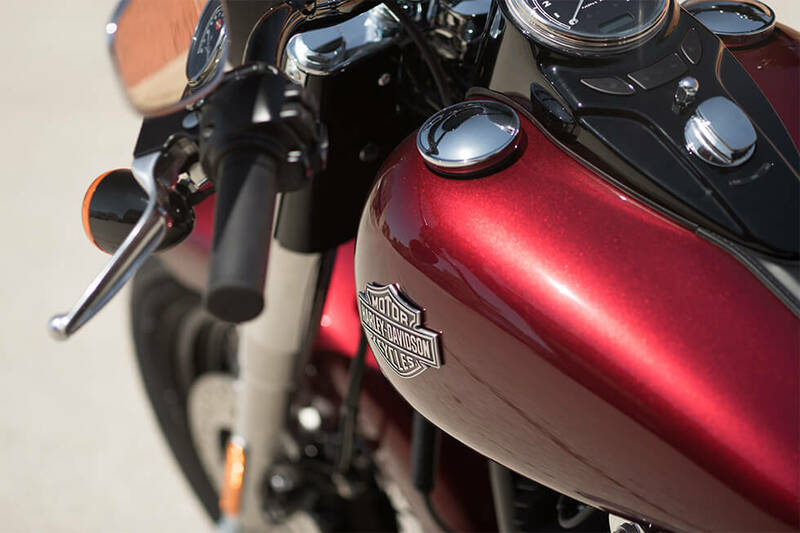 The Harley-Davidson® Softail Slim® is an instant classic with contemporary features and classic cruiser styling that will turn heads wherever you ride. 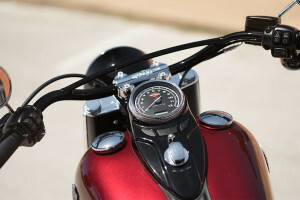 Round Air Cleaner Cover: It might not exactly be the most important feature on a bike, but it is one big piece of real estate. 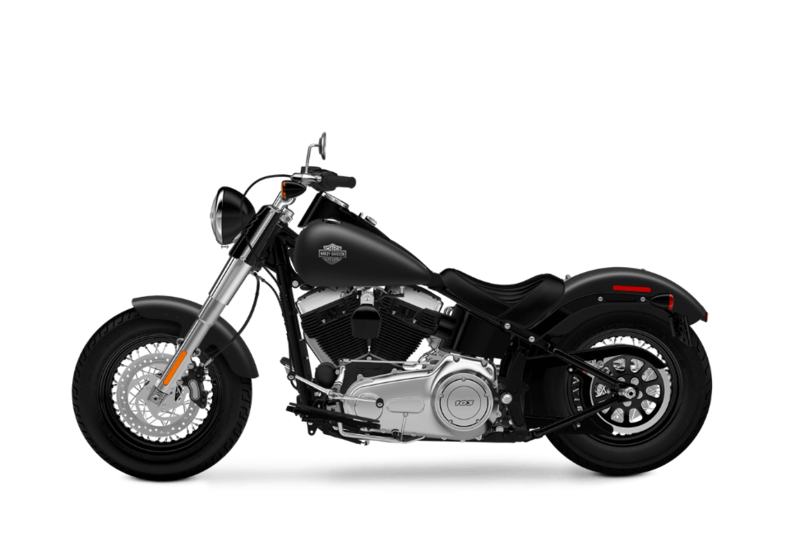 The air cleaner cover on the Softail Slim® is blacked out for a high-attitude, low-profile look. Hidden Rear Shocks: Love that slammed rigid bike look, but don’t want the jarring ride? 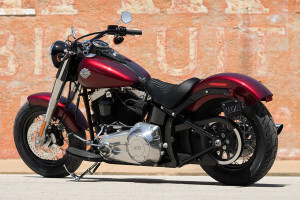 The Softail® Slim is here for you with its classic horizontal hidden rear shocks. Narrow Rear Profile: With an aggressively chopped fender and narrow rear tire, the rear end of this ride is as minimal as it gets. 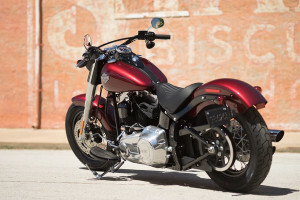 There’s also a side-mounted license plate holder and integrated three-in-one stop/turn/tail lights on the sides to evoke that no-nonsense bobber style. Hollywood Handlebar and Cat Eye Console: With wide Hollywood bars, you’ve got gloss black style and something substantial to hold on to. With the modern cat-eye console, you get all the info you need along with some retro style thanks to the analog speedo face. The Softail Slim® comes standard with the power and reliability of the latest High Output Twin Cam 103B™ Engine. High Output Twin Cam 103B™ Engine Heritage: This engine is the evolution of a century of engine development, so you know it offers the pinnacle of contemporary V-Twin power and performance. Untold miles have gone into these cylinders to bring you the very best. High Output Twin Cam 103B™ Engine Power: More power is something that everybody can agree on. 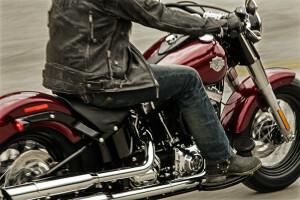 The Softail Slim® offers better low end torque and faster 60 to 80 mph 5th gear roll-on so you can pass with confidence. High Output Twin Cam 103B™ Engine Innovation: Designed to work long hours with low maintenance, the High Output Twin Cam uses strong internal parts and lightweight cylinders to provide superior reliability and optimum performance. 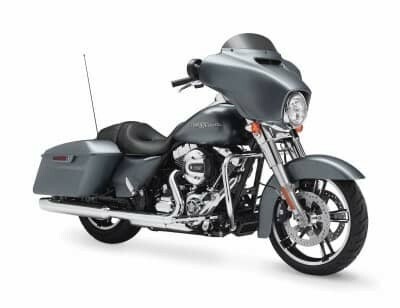 Pure Harley-Davidson Styling: This engine is an instant classic with an old school round air cleaner, medium gray finishes, and black powder coated heads with polished rocker covers. It’s never going out of style. Six-Speed Cruise Drive® Transmission: The Six-Speed Cruise Drive® transmission is a smooth, quiet shifting gearbox that’s able to get you up to speed and keep you there. Highway riding has never been so quiet thanks to the tall top gear that provides low rpm and a smooth ride. 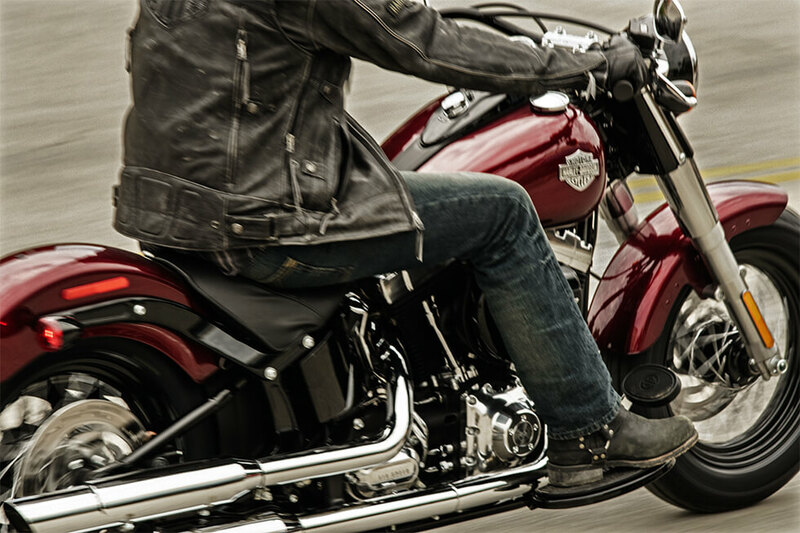 The Softail Slim® delivers not only dynamic style. It’s also designed to ride with confidence and control in all conditions. Front Brake System: If you need to slow down in a hurry, the Softail Slim® has you covered thanks to a more powerful brake system with bigger rotors, better calipers, and bigger pistons. These all add up to smoother operation with less lever force. Dunlop® Tires: Tires are one of the most important parts of your bike, and the Dunlop® tires wrapped around the laced wheels of the Softail® Slim are durable enough to grip the road for a long time to come. 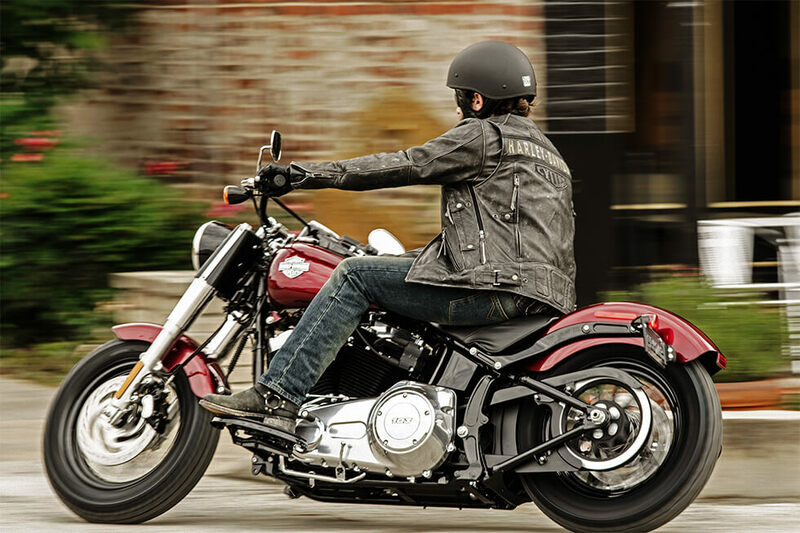 Easy Handling: The Softail Slim® delivers easy, quick handling with great low speed maneuverability and plenty of high speed stability. It’s even easy to lift off the jiffy stand, so it’s no trouble to get rolling. 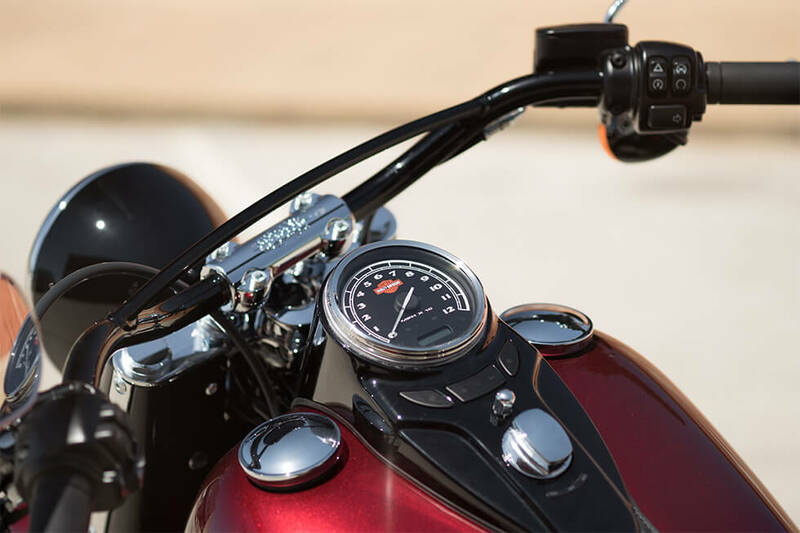 Ergonomic Hand Controls: Designed to put you in the right place and keep all the controls close at hand, these ergonomically designed controls make working the Softail® Slim a real pleasure. The Softail Slim® gives you some of the most up to date features to keep you and your bike safe and secure. 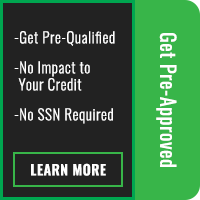 Standard Anti-Lock Brakes: You’ll have the power to slow down in a hurry with these standard antilock brakes, and their minimal design means that you’ll hardly notice them. H-D® Smart Security System (Optional): This optional feature provides added peace of mind. When you leave the bike and take the wireless keyfob with you, the security system automatically activates. You don’t want to ride a bike that’s not comfortable. 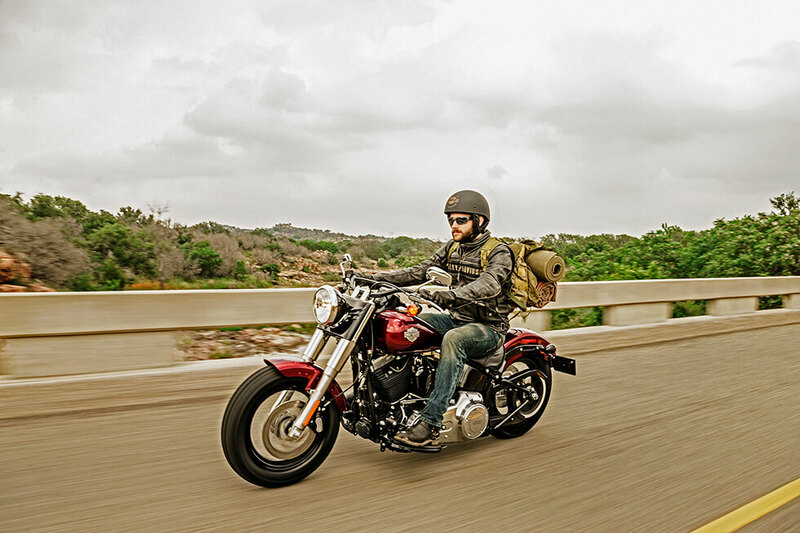 Luckily, the Softail Slim® is designed around keeping you happy. Half Moon Foot Boards: It’s easy to enjoy the ride when you put your foot on these distinctive, half moon foot boards. They offer chrome plated steel and high durability rubber pads to reduce vibration. 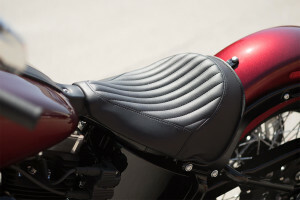 Low Seat Solo Seat: The Softail Slim® is a solo ride. This low slung saddle puts you way down deep inside the bike for that perfect laid back riding position, allowing you to enjoy the open road in style.